The first coupe, which dates back to the 18th century, was reportedly modeled on Marie Antoinette’s left breast. And who better to take her very 21st century cue than our very own empress of fashion. “I was excited to participate in this project, what an honor to be alongside Marie Antoinette – she was a very intriguing and mischievous character,” said Moss. To celebrate 25 years in the fashion industry, she will be unveiling the “intricate, abstract design” this October. “Champagne is always associated with celebration and happy occasions and I had fun creating this beautiful coupe,” continued Moss. Reminiscent of Art Deco symmetry which, when held at an angle shows a beautiful curvy shape, the coupe has been created by British artist Jane McAdam Freud, daughter of the late painter Lucien Freud, who Moss posed for while pregnant. 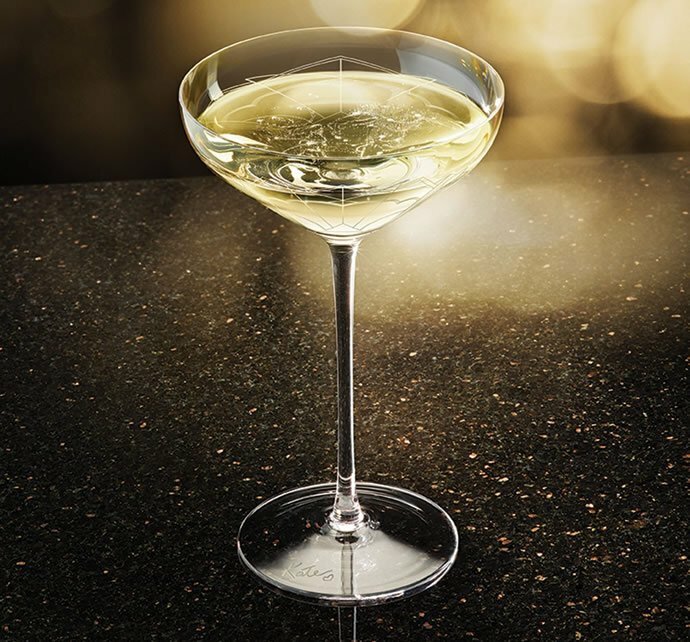 While the coupe won’t be available for purchase, guests will get to sip Dom Pérignon’s latest vintage at the launch. Later, the public will be able to drink from it at 34’s sister establishments, The Ivy, Daphne’s, Scott’s and The Club at The Ivy as well.